In late January, we celebrated the fifth anniversary of our blog site This week in Pennsylvania Archaeology. As is often the case, anniversaries bring on thoughts of reflection and review in preparation of the next marker. Now that we have finished our tour of Pennsylvania archaeology by county we are going to begin a new theme, one more eclectic in nature. It will include artifacts, collections curated at the State Museum, significant sites and important archaeological concepts. Our primary goal, as always, is to share the breadth and depth of Pennsylvania archaeology with our readers. A secondary goal is to increase awareness among students and researchers of the resources and collections that are available for scholarly research at the State Museum. We think the county report served an important function but now we are going to return to a less structured approach, similar to the ABC’s of Pennsylvania archaeology that we covered three years ago. In the coming months expect to see brief reports on unique artifacts, special collections available for research, artifact types and important sites in Pennsylvania archaeology. We are always interested in your input, so if there is something special you would like to read or see, let us know. In order to have more time to focus on museum renovations and public programming, we are going to switch to a biweekly presentation – a new posting every other Friday. We will be off next week (3/7) and begin our new series on 3/14. This week, we are going to post the annual report from the Cultural Resources Geographic Information System. We included the map of site densities by county last week and this week we are including the sites per square mile organized alphabetically and listings of the top ten counties with the highest densities and the top ten with the lowest densities. This valuable resource aids immensely in our understanding of Pennsylvania’s history and prehistory with a comprehensive database that reflects upon the settlement and development of our Commonwealth. Last week we colored in the final county on our journey through Pennsylvania. This week we are presenting a general summary of what we have learned in terms of site distributions, lithic material types and site recording in our travels over the past two years, beginning on January 27, 2012. 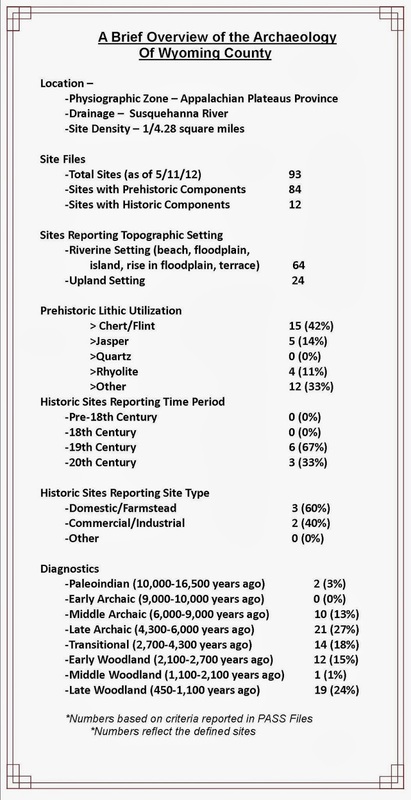 The CRGIS department just completed their annual report on the status of site recording and as of January 1, 2014, there were 23,077 sites recorded in the Pennsylvania Archaeological Site Survey (PASS) files or approximately 1 site per 1.95 square miles. As documented in our county reports, these are not evenly distributed across the Commonwealth. Some counties have very high densities of recorded sites such as Washington, Lancaster, Lebanon and Philadelphia with more than 1 site recorded per square mile. Others, such as Potter (1 site/22.75 sq miles) or Sullivan (1 site/16.48 sq. miles) have significantly lower densities. Even counties that are adjacent to one another like Clearfield (1 site/9.99 sq. miles) and Elk (1 site/2.72 sq. miles) can have significantly different site densities; and the question is why? The number of recorded sites per county is partially related to the number of occupations or visits by Native American or Euroamerican people. Over 80% of the sites recorded in PASS are Native American occupations but similar factors attracted both Native American and Euroamerican people’s to the individual counties. For example, large streams contain a variety of food resources but they also facilitate travel by dugout canoe or raft. High fertility soils are good for farming but they also produce forests with a diversity and abundance of animals for hunting. High quality stone for making tools was attractive to Indians while iron ore and coal were attractive to early industry. There are other factors, such as rockshelters or suitable mill sites but these are variables which attracted people to create archaeological sites. The second variable in recording sites is how they were found. In areas of extensive farming such as Lancaster County, the exposed ground area created by plowing facilitates the collecting of artifacts by amateur archaeologists. The level of modern development especially earth disturbing activities under the jurisdiction of preservation laws have added to the number of sites per county. Over the past ten years or more, the majority of new sites added to the PASS files have come from these surveys. However, modern development is a double edged sword. The National Historic Preservation Act of 1966 requires that surveys be conducted to find sites but federal highway projects for example, also attracts development (i.e. convenience store and fast food restaurants) not covered by preservation laws and this kind of development destroys sites. There are other types of development, such as strip mining, that are not as carefully regulated that also obliterate large numbers of sites. This in fact may explain the relatively low number of sites in Clearfield County, where strip mining is very common compared to the adjoining counties. As documented on the site density map, the counties in the southeastern and southwestern regions of the Commonwealth have the highest densities of sites, frequently at more than one site per square mile. Generally, the northeastern and northwestern counties also have high site densities at one site per 2.5 square miles such as Wayne, Crawford or Erie counties. This is partially related to modern development in the northwest but the Poconos in the northeast is largely recreational land. However, these counties are all along the Delaware River and the floodplain has been the focus of several surveys. 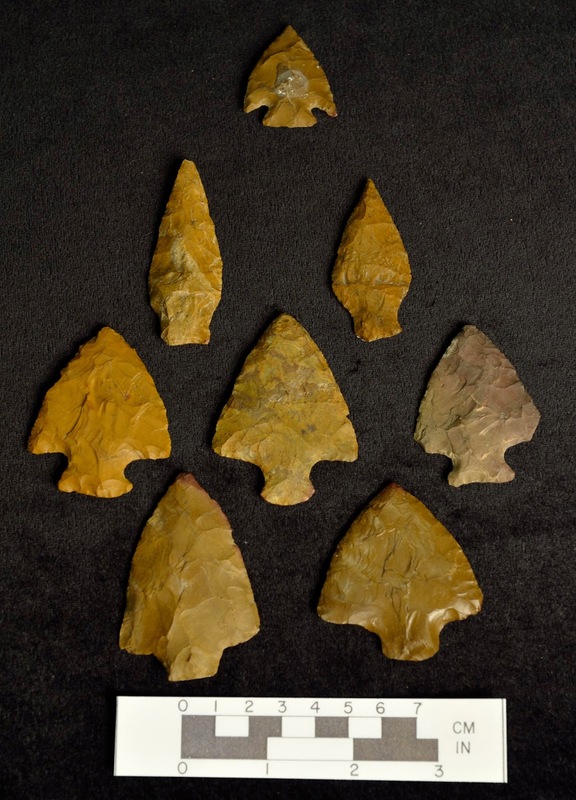 Lithic resources were also very important for Native Americans and there are high densities of sites around the jasper quarries in Centre and Lehigh counties and around the metarhyolite quarries in Adams County. The north central counties have the lowest site densities. These regions are frequently at some distance from major streams and are more upland in nature with less productive soils for farming. These counties are less densely populated and have experienced less development making it more difficult to locate and record sites. There could be hundreds of sites in Schuylkill County for example but no one is conducting surveys in that area. On the other hand, we know that there are individuals who are finding artifacts but not recording them with the PASS files and this information is lost. 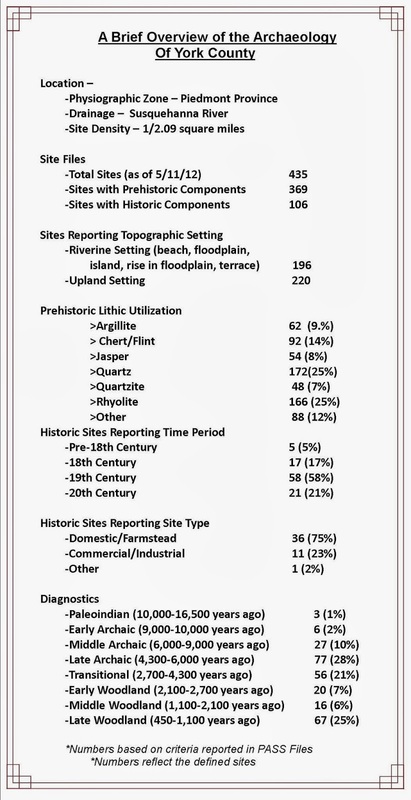 Another characteristic discussed on our county reports was lithic utilization. 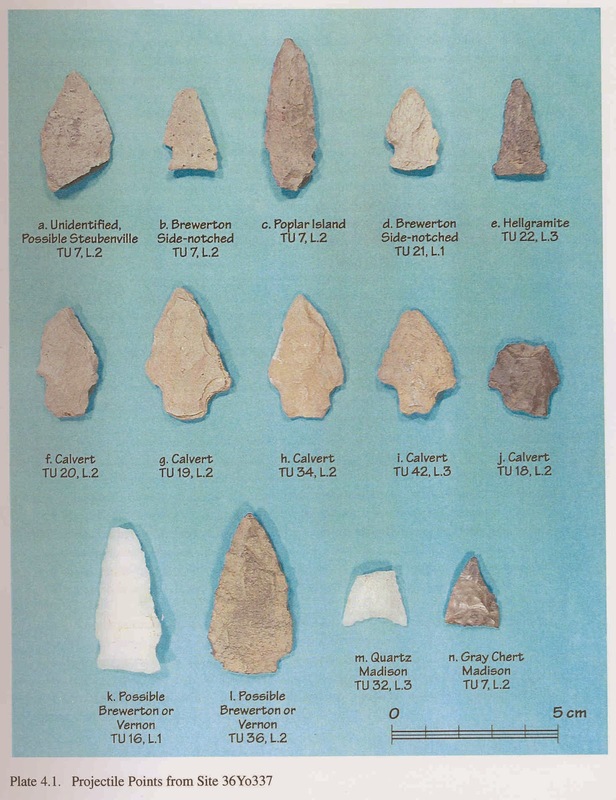 We found that Pennsylvania has a variety of lithic material types that were used by Native Americans for the production of stone tools. Unfortunately, only 11031 sites or 48% of all sites recorded the artifact’s lithic material reported for that site. Never the less, based on the information recorded, the Commonwealth can be characterized as rich in lithic resources although not necessarily materials of the highest quality. Some lithic materials were very popular during certain time periods and these were traded throughout the Middle Atlantic region. Other lithic sources were less desirable and may have been used locally for thousands of years but are not found at great distances from the local quarry. Black or bluish chert is the most common lithic material used across the state and over 80% of the sites for which the lithic material type was recorded produced chert artifacts. It varies in quantity and quality but it is found in bedrock formations throughout the Ridge and Valley zone and in the Unglaciated Appalachian Plateau. Shriver chert is found in a band stretching from Northumberland County through Snyder County and counties further south. This was used locally throughout prehistory. The same can be said about cherts in Carbon (Stoney Ridge), Monroe (Buttermilk Falls), and Bedford and Westmoreland counties. They were not necessarily the best quality but they were used for thousands of years. The so-called exotic cherts such as Onondaga chert from the Onondaga Limestone formation, Coxsackie chert from the Deepkill and Normanskill Shale formations in New York State, and Coshocton chert from the Upper Mercer formation in Ohio are of particularly high quality and are commonly found as artifacts in Pennsylvania. The New York types are also available as cobbles in Pennsylvania stream valleys and in bedrock formations in New York. Onondaga chert was the sixth most common lithic type although it was only found at frequencies above 5% on the Appalachian Plateau. 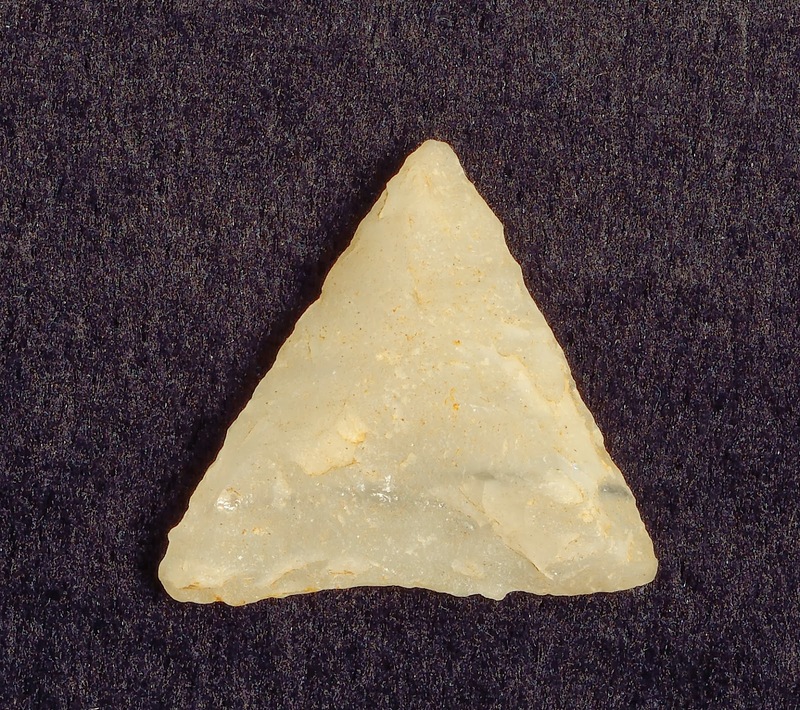 Jasper is the second most common lithic resource in the state. Although it was found in nearly every county, it is especially common in eastern Pennsylvania. There are three major bedrock sources for jasper; the Hardyston formation of the Reading Prong, Iron Hill on the border between Delaware and Pennsylvania, and the Bald Eagle formation north of State College. Because of jasper’s bright color, these frequencies are even more affected by collector bias, both in reporting sites and in reporting the lithic material from a given site. The Hardyston formation produces the best quality jasper and this was used throughout prehistory. It was especially favored during the Paleoindian period and fluted points from this quarry have been recorded from Paleoindian sites as far away as Massachusetts. During the Transitional period, it was the preferred material for Perkiomen broadspears and Orient fishtail points. It was also used in a trade and exchange network that extended throughout the Middle Atlantic region. Quartz and quartzite are the third and fourth most common lithic material types. They are most common in the Piedmont section but can be found in various bedrock formations throughout the Commonwealth. Quartz is very common in Lancaster and York counties. The largest quartzite quarries are in Berks County. Quartz and quartzite are generally considered to be of lesser quality by flint knappers than the other major lithic types and the distribution in Pennsylvania suggests that they do not move much beyond the bedrock sources. Metarhyolite is the fifth most common lithic type and originates in the South Mountain section of the Catoctin formation in Adams and Franklin counties. It is a common lithic type in the Triassic Lowland and the Appalachian Mountain sections. Like jasper, metarhyolite was extensively used during the Transitional period and was part of a trade network that extended over much of the Middle Atlantic region and westward into the Allegheny drainage headwaters in Indiana County. Metarhyolite is found extensively west of the Susquehanna River on at least 20% of the recorded sites. Wapwallopen Creek on the north Branch and Chickies Creek on the Lower Susquehanna River are the only drainages east of the river where it is found at frequencies of greater than 20%. Chalcedony is the seventh most common lithic material type. It is largely found in the southeastern part of the state. Argillite, from the Lockatong formation, is the eighth most common lithic type in Pennsylvania and it is concentrated in the Piedmont. The Lockatong formation stretches well into New Jersey where it was commonly used throughout prehistory. The low frequency of argillite in the Piedmont Uplands Section is surprising considering the extensive bedrock formations nearby. It is very common in New Jersey and Delaware but, its use does not seem to extend much further than its bedrock sources in Pennsylvania. This is very different from the distribution of metarhyolite which extends well beyond its outcrop source. Only 6154 sites or less than 28% of all recorded sites have produced diagnostic artifacts from Native American sites. The distribution of these diagnostics by time period reflects the relative frequency of these sites and to some extent the relative number of people per time period. However, there are also significant problems with using diagnostic artifacts to gauge population levels. 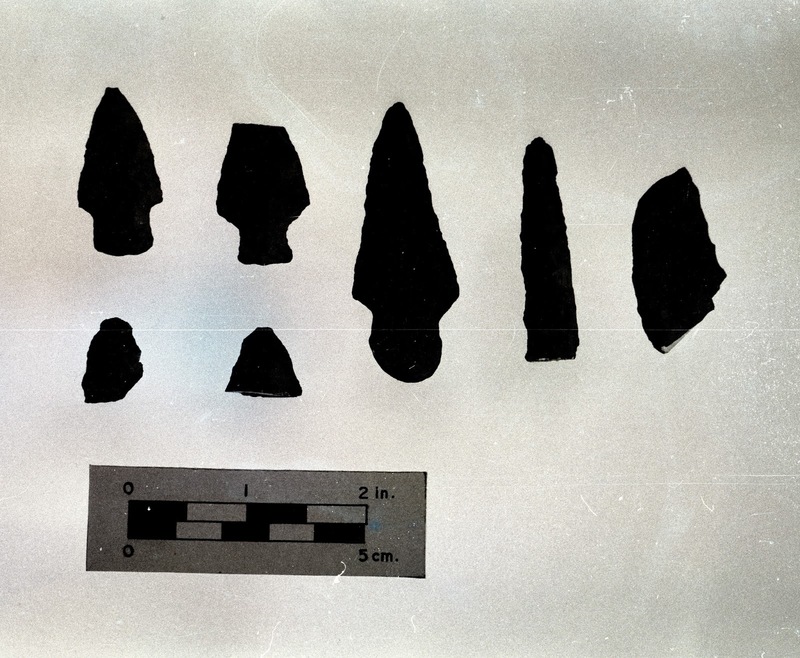 Fluted points are the most diagnostic artifact type in the New World: that is to say; they always date to the Paleoindian period (11,200-10,000 BP). Ground based and seriated, corner-notched and side-notched points usually date to the Early Archaic period (10,000-9,000 BP); and bifurcate based points always date to the early portion of the Middle Archaic period (9,000-8,000BP). However, after this time, the so called diagnostic projectile points used to define the Late Archaic and Woodland periods are not as reliable for defining a particular time period. Straight stemmed and contracting stemmed projectile points are common on Late Archaic sites but they are also found in stratified Transitional sites and Early Woodland sites. Therefore, the high frequency of Late Archaic sites noted in our chart may be misleading and may actually include Early Woodland period stemmed points. The consistent low frequency of recorded sites in all counties for the Early and Middle Woodland periods may be related to this phenomenon which has led to controversy among archaeologists in the Middle Atlantic region. Some believe that it reflects an actual drop in population but most feel that these periods are not characterized by especially distinctive artifacts and that sites can only be defined by radiometric dating. Our journey through Pennsylvania’s archaeological resources has provided us an opportunity to share in the significant contributions that archaeology has made in understanding our heritage. In reviewing the number of visits to our blog pages we see that many of our county blogs were visited at least a thousand times. Interest in stone tools, crop production and industrial sites were among the most common keyword searches. Our visitors have provided additional information and comments regarding their county, inquiring further into the heritage overview we provided. It is clear that each county has made its own unique contribution to the development of our Commonwealth. From the earliest evidence of native peoples in Pennsylvania at Meadowcroft Rockshelter almost 16,000 years ago, to the historic farmsteads of the 19th & 20th century, Pennsylvania owes much of its development to its abundantly rich natural resources. Procurement and utilization of these resources throughout prehistory ultimately led to our industrialization and continues to play an important role in the preservation of our archaeological resources. The PASS files reflect the urbanization of Pennsylvania as areas with the largest settlements are also the areas impacted by modern development. Clearly the number of sites recorded in a county reflects to some extent not only the prehistoric settlement pattern, but also its modern urbanization. Transportation projects which include bridges and highways, municipal improvements in the form of water and sewer systems and commercial and residential developments have brought about archaeological investigations across the Commonwealth. It is through these investigations that sites are recorded and our knowledge of Pennsylvania history and prehistory greatly increases. Unfortunately, archaeological sites are destroyed on a regular basis over much of the Commonwealth by either private development or reckless looting; preservation only comes from educating others as to the significance of these resources and respect for our treasured past. The State Museum curates archaeological collections from across the state and strives to share the depth of these collections with the public. This brief window into the archaeological heritage of each of our 67 counties is just one venue for learning about our past. We will continue this blog, but also remind our readers of our public outreach programs at Fort Hunter Mansion & Park, Kipona Festival, Workshops in Archaeology, Pennsylvania Farm Show and other state and national programs. Our website offers an opportunity to explore many of the subjects discussed in our previous blogs for those wishing to learn more. The Anthropology and Archaeology gallery at The State Museum of Pennsylvania offers a comprehensive overview of Pennsylvania’s archaeological heritage and we will be turning some of our energy towards revisions and upgrades to the gallery over the next few years. Please join us in celebrating our rich Pennsylvania heritage and together we can preserve the past for the future. Finally, after completing the archaeology series of Pennsylvania’s counties one thought comes to mind, and that is, we must acknowledge the fact that much remains to be documented and presented about the rich archaeological and cultural past of our Commonwealth. Although learning something about a prehistoric or historic site and its artifacts that resulted from a project funded by the taxpayers of Pennsylvania or recognizing an individual for their generosity in donating an artifact collection to the State Museum are also important aspects of saving the past for the future. We should also recognize that it is as equally important that the sites were reported and entered into the PASS inventory where their locations become an essential part of the Commonwealth’s archaeological data base house in the CRGIS Section, Bureau for Historic Preservation. In many instances the information on these sites would have remained unknown were it not for the amateurs and professionals in the archaeology community, many of which are members of the Society for Pennsylvania Archaeology, Inc. We encourage all to continue supporting the PASS program and report your sites. In doing so you will have provided new and important information for the readers to enjoy through future blogs at the PHMC web site. This week’s journey by county through the archaeology of Pennsylvania takes us to south central Pennsylvania and York County. This county is predominately situated in the Piedmont Upland section of the Piedmont Physiographic zone with a small section of the Piedmont Lowland section transecting the northern part of the county. The region is characterized by northeast-southwest trending uplands of rounded hills dissected by relatively narrow valleys. The eastern border of the county is formed by the Susquehanna River and the western border is essentially the Great Valley section. All streams drain into the Susquehanna River and the major tributaries are the Conewago, the Cordorus and Muddy Creek. York County has a rich and complicated history. It was first occupied by Europeans in the late 1600’s. It was claimed by both the Maryland and Pennsylvania colonies. This actually resulted in an armed conflict, Cresap’s War, and only officially ended with the drawing of the Mason-Dixon Line. During the Revolutionary War, the City of York served as our nation’s capital while Philadelphia was occupied by the British. The archaeological record of these events has been documented at several sites. The County has been occupied by Native Americans for at least 11,000 years based on three sites dating to the Paleoindian period that are recorded in the Pennsylvania Archaeological Site Survey files. After this period, the density of sites by time period is similar to other counties with the Late Archaic, Transitional, Early Woodland and Late Woodland periods being the most common occupations. The density of sites (at 1 site per 2.08 square miles) is about average for the Commonwealth which is 1.99/sq. mile. The sites are concentrated in the northern half of the county, especially along the Conewago Creek and along the Susquehanna River. However, as is common in the Piedmont physiographic zone, over half of the sites are in upland settings and not associated with major streams i.e. streams greater than second order. 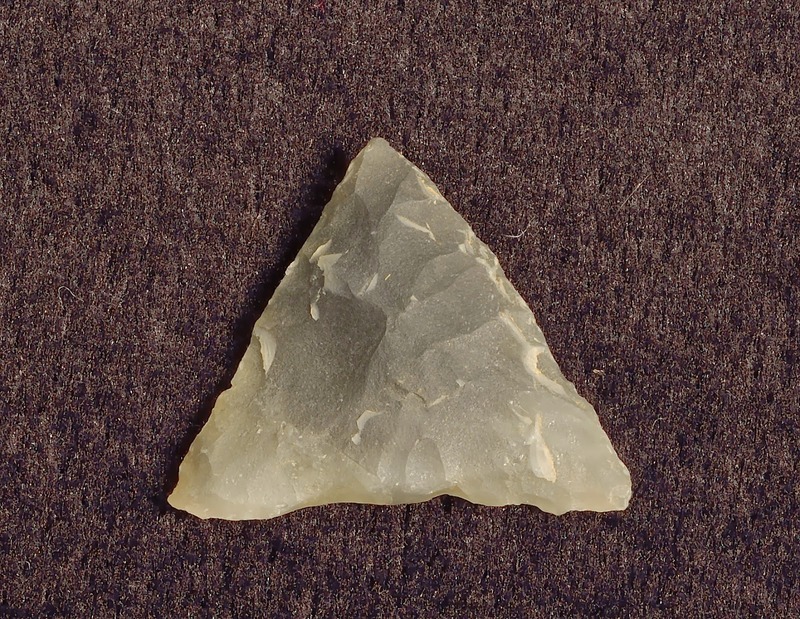 The region contains a variety of lithic (stone) material types that were useful to Native Americans and this is reflected in the stone tools found on archaeological sites. The most commonly used lithic material is quartz. This is not surprising as it is a common bedrock in the county especially south and east of the City of York. 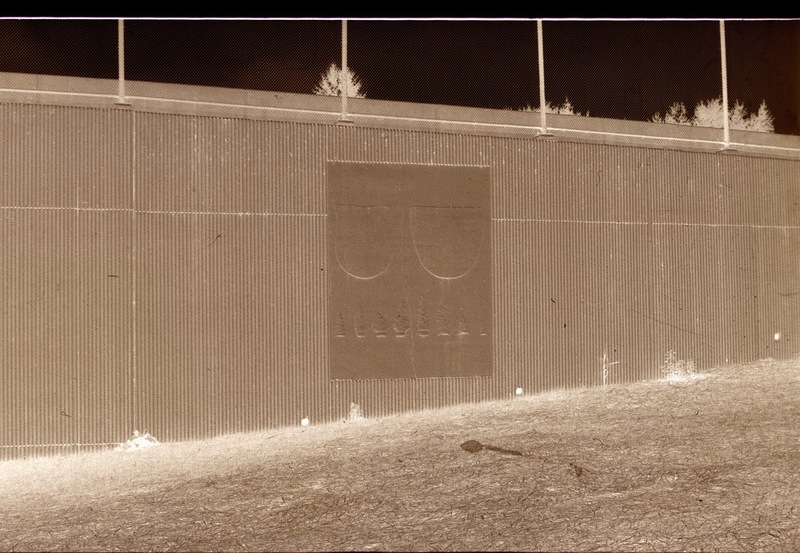 The use of this material was documented in an early survey conducted in compliance with the National Historic Preservation Act of 1966 in Springettsbury Township were a number of quarry reduction sites were archaeologically investigated. For a number of reasons, quartz is a difficult lithic material for archaeologists to analyze but they were able to outline the process of making tools at these sites. The second most common lithic material type used by Native American is metarhyolite. This material does not outcrop in the county but is found in large quantities to the west, in Adams and Franklin counties. Metarhyolite was especially popular for stone tool production during the Transitional period when it was traded throughout the Middle Atlantic region. Many of the sites in York County producing metarhyolite are secondary reductions sites. As Native Americans moved away from the metarhyolite quarries, towards the Susquehanna River for example, they gradually removed the low quality material from blocks collected at the quarry, reducing the weight and converting the raw block into more portable pieces. They also began to shape tools and tool blanks. Typically during the Transitional period, they worked this material into large (15 cm. long) bifaces that was used in the trade network. Over 300 archaeological surveys have been conducted in the county and these have documented an archaeological heritage that otherwise would have been lost. For example, an archaeological investigation involving a housing development along Conewago Creek produced a multicomponent site that dated from Middle Archaic to Late woodland times. Unfortunately, plowing and erosion had adversely affected the integrity of this site and it was not considered eligible to the National Register of Historic Places. One particularly interesting and productive survey was performed at the Defense Distribution Center along the Susquehanna River in the northern part of the county. The project was located on a large, flat, Pleistocene terrace, with well drained soils. This would have been an ideal location for a prehistoric occupation but the existing military facility and the Capital City Airport had long ago covered or destroyed most of the evidence. Archaeological testing identified a small piece of what was probably a much larger site. The site (36Yo337) produced a wide variety of tools, projectile points, pottery and subsurface features such as cooking hearths, storage pits and post molds. The most common lithic material was metarhyolite. The site seems to have been intensively occupied from Late Archaic through Late Woodland times at least seasonally. The most common projectile points and pottery suggest that it was most frequently occupied during the Early/Middle Woodland period. A radiocarbon date of 2300+80 BP supports this time of occupation. As we have reported in previous blog publications, (but are worth repeating here) three of the most significant sites in York County are the Upper Leibhart site (aka Oscar Leibhart - 36Yo9), the Lower Leibhart site (aka Byrd Leibhart - 36Yo170), and Camp Security. These are all now in public hands and are preserved in perpetuity. The Leibhart sites date to the latter half of the 1600’s and represent the last stockaded Susquehannock villages prior to their move to Maryland and return to the region under the control of the Iroquois Confederacy. The Upper Leibhart site is owned by the Archaeological Conservancy and the Lower is owned by York County Parks. They are planning on developing an interpretive center for this site and others in the area. Camp Security represents the only existing American prisoner of war camp dating to the Revolutionary War. This is also now publically owned and preserved for future generations. The people of York County should be applauded for their successful preservation of some of the Commonwealth’s most significant cultural resources. We hope you have found this journey through the archaeological heritage of York County interesting. Understanding and exploring our archaeological heritage is crucial to our understanding of human behavior and our ability to change and adapt over time - just as the peoples of York County have done for thousands of years. This is the last blog in our county series. Next week we will summarize what has been learned through this journey across the Commonwealth. In two weeks we will begin a new blog theme. Please consider leaving a comment on our blog if there is a particular subject you would like us to discuss or events you would like us to share. Our goal, as always, is to enrich our understanding of the past so we can preserve it for the future. Located in the northeastern interior of Pennsylvania, Wyoming County lies within the Appalachian Plateaus Physiographic Province, with the southwestern third in the Glaciated High Plateau Section, and the remainder in the Glaciated Low Plateau Section. Broad, rounded hills and elongated uplands are comprised predominately of sandstone, siltstone and shale bedrock types. Wyoming County is bounded to the south by Luzerne, to the west by Sullivan, to the northwest by Bradford, to the north by Susquehanna, and to the east by Lackawanna County. Flowing northwest to southeast the North Branch of the Susquehanna River bisects the county diagonally. Main tributaries feeding the North Branch in Wyoming County include Tunkhannock, Bowman and Mehoopany Creeks. There is a relatively low number of sites recorded in the Pennsylvania Archaeological Site Survey files (1/4.28 sq. miles) and 69% of these are located in riverine settings. During the prehistoric period Native American were attracted to the riverine environment because of abundant food resources. During the 19th century, people were attraction to this setting by the construction of the North Branch Canal. Void of significant coal beds, lumbering was the initial industry. Leather tanning was the main industry in the late 19th century due to the abundance of hemlock bark for the tanning process. This continued into the early 20th century when the hemlock forests were depleted. Colonists from Connecticut were some of the earliest settlers to the region with land claims dating as early as 1754. Wyoming is purportedly derived from an Indian word meaning “extensive meadows” and during the 18th century was occupied by Delaware Indians. Their village at Tunkhannock was named for the” small stream” which flows through the county and now bears the same name. Historic records indicate the Delaware occupied this village from 1749-1758. The WyomingMassacre of 1778 was an horrendous bloodbath which occurred during the Revolutionary War. In part it was the result of British supported Indian attacks but also by an on-going feud between the Connecticut Colony and the Pennsylvania Colony. Connecticut land claims to the northern portions of Pennsylvania had led to skirmishes amongst settlers of the region and native groups who had lived here prior to colonization. These battles between Pennsylvania and Connecticut are referred to as the Yankee-Pennamite Wars and led to an embroiled feud between the two colonies. The massacre of hundreds of settlers by British troops, loyalists and Iroquois Indians led to a mass exodous from the region known as the Great Runaway. In response to this conflict, General George Washington appointed General John Sullivan to carry out a campaign against Indians living in northern Pennsylvania and New York. The practice of burning villages was known as “scorched earth warfare” and reduced the strength of the Iroquois Nation and ended their involvement in the Revolutionary War. Historic markers placed by the Pennsylvania Historical and Museum Commission serve to remind us of these atrocities that occurred here and of the consequences of territorial disputes. An archaeological investigation conducted by John Milner Associated in Exexter Township provided an opportunity to examine the archaeological record of this region. Investigations at the Falls Bridge site (36Wo56) for a bridge replacement project revealed evidence of small camps utilized over a long period of time ranging from the Middle Archaic period ( 6,000-9,000 years ago) through the Middle Woodland period (1,100- 2,100 years ago). Situated in a riverine setting along the North Branch of the Susquehanna River, artifact concentrations demonstrate a reliance on riverine resources. Radiocarbon dates were obtained from four of the test units and the resultant dates are supported by the recovery of stone tools, projectile points and pottery. Archaeology suggests stone tool manufacture and maintenance activities occurred at the site based on the high number of tools, bifaces and unfinished or rejected tools. Two netsinkers (notched flat rocks) suggest fishing occurred here as well. Pottery fragments from the site are identified as chert tempered dating to the Middle Woodland period. This excavation and the recovered artifacts led to sufficient interest by Mr. Edward Osnick, Environmental Manager at PennDOT District 4-0 to create an educational component for this site. 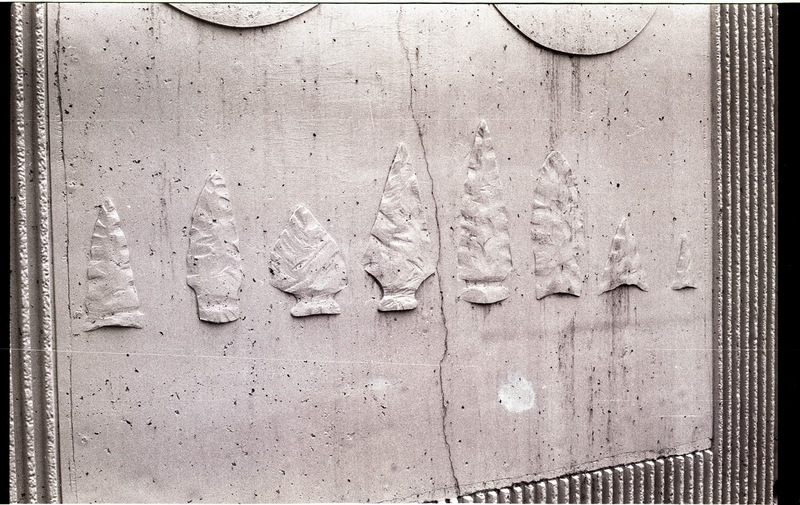 A bas-relief on the side of a wing wall of the bridge adjacent to West Falls public park was created from casting the selected artifacts and pouring concrete to produce a display of the artifacts and provide an opportunity for the community to share in their archaeological heritage. We hope you have enjoyed this brief overview of Wyoming County and its role in the settlement of the northeastern corner of Pennsylvania. Next week is our last county, York, which enjoys a rich heritage as demonstrated in our many collections. Please consider leaving a comment on our blog if there is a particular subject you would like us to discuss or events you would like us to share. Our goal as always is to enrich our understanding of the past so we can preserve it for the future.